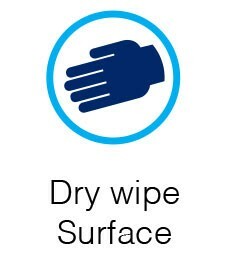 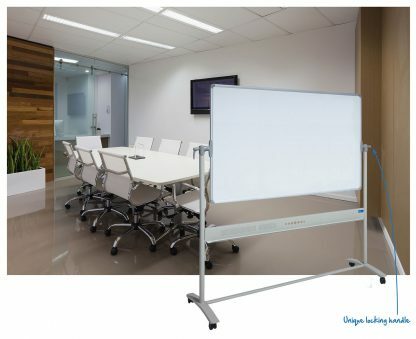 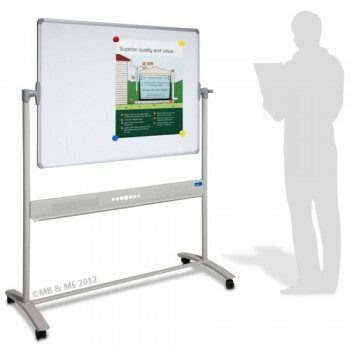 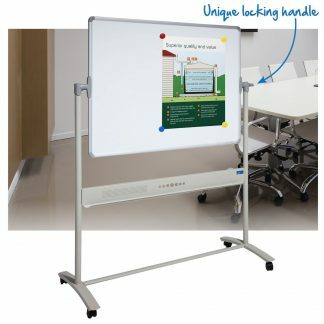 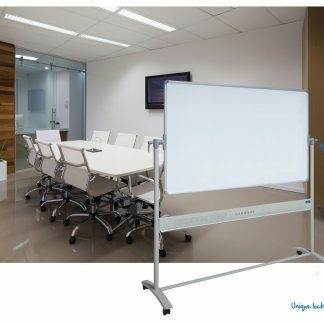 Corporate Mobile Whiteboards with a Unique Locking Handle. 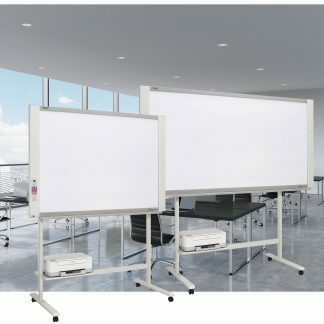 Unique good looks set this Mobile whiteboard apart from the rest. 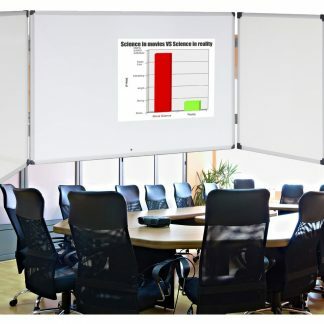 BETTER. 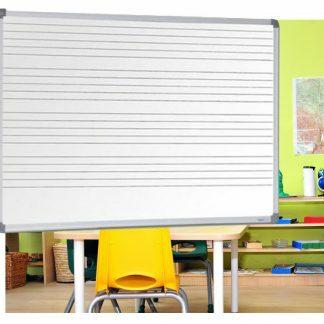 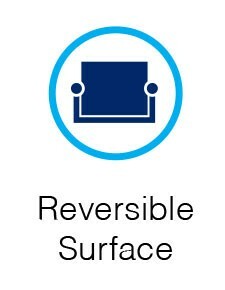 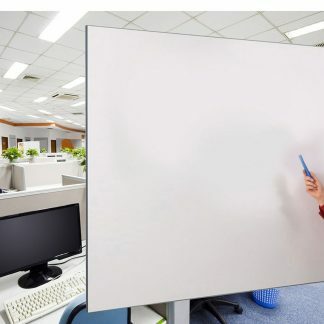 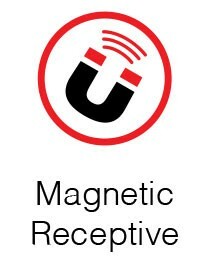 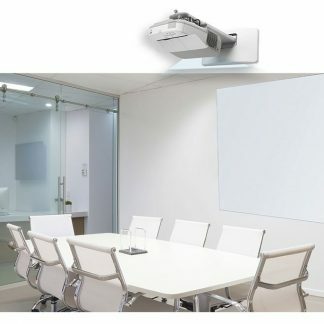 Stylish corporate look with a quality magnetic whiteboard surface. 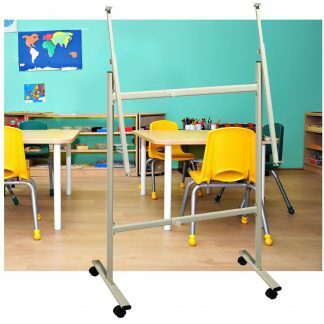 Tubular steel construction in Pearl Silver powder coated finish.